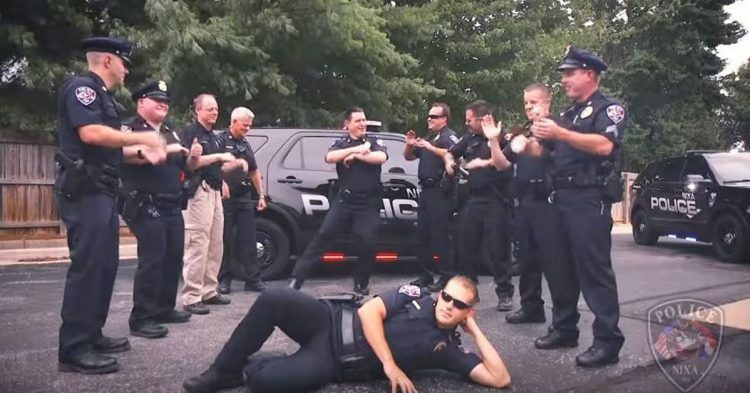 Law enforcement serves and protects, but turns out they can do a mean lip sync routine when the call is put out there. 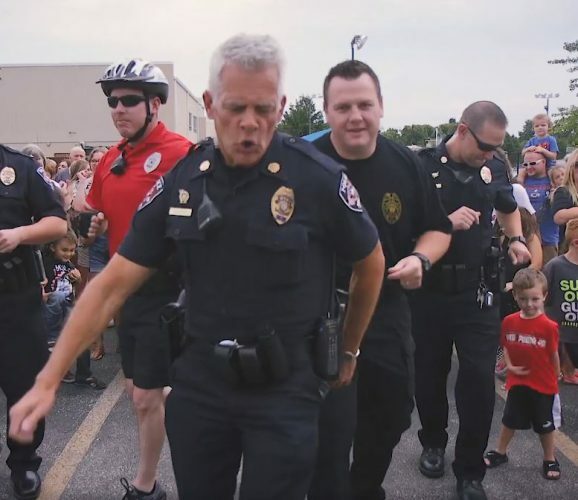 The Nixa Police Department in Missouri threw their hat into the challenge ring and they didn’t disappoint, with a fun take on the classic song “Footloose” by Kenny Loggins. 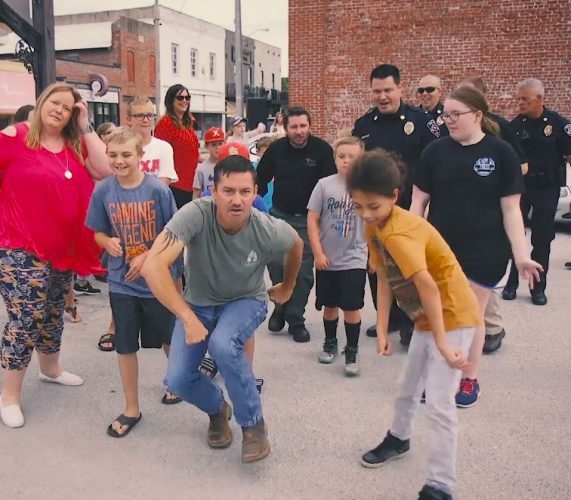 The lip sync of this song has to, of course, include plenty of dancing — and these cops are joined by community members to have an all out dance party. 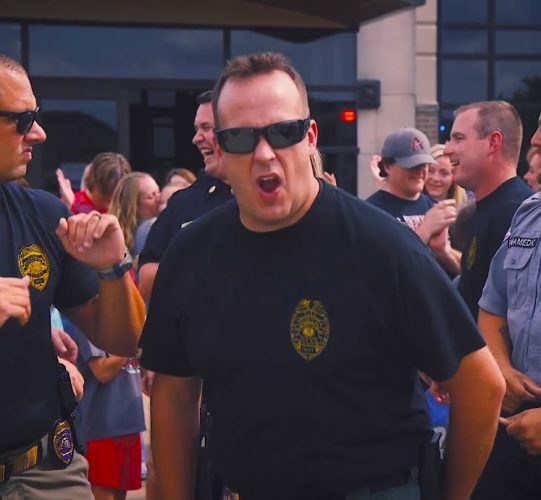 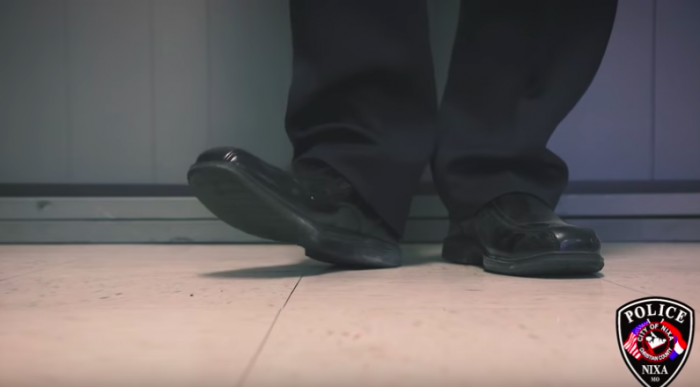 The video starts with a shot of the police chief’s door opening, as he says that classic Kevin Bacon Footloose line “I thought this was a party” before instructing them to dance (complete with confetti). 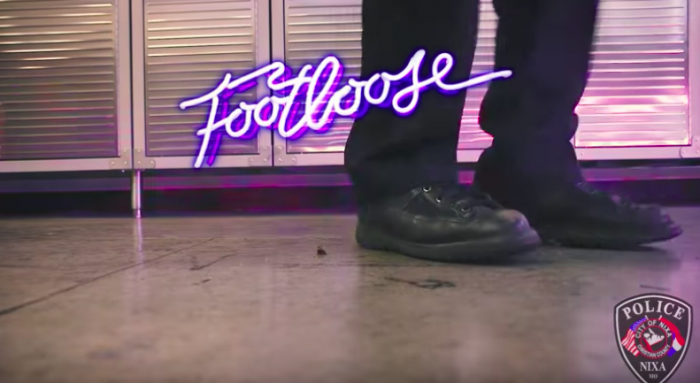 There’s a few shots of feet getting into the groove and cops showing off a their moves before the lip syncing begins.